I read this aloud to my son. It was hard for him (us) to put it down. Think of it as an original superhero story only told with all of the challenges and small details that come with a changed identity. This book would definitely work as a read aloud for upper elementary and invite students to explore more books by Snyder. A graphic memoir (?) that is in the same vein as Sunny Side Up and Ghosts but for older readers. The story is memorable and well suited for the visual nature of the text. Definitely a book to have in the secondary classroom library to build diversity and cultural relevance. A succinct and readable summary of how beliefs drive our actions and how people can change them. There is a lot more to this topic than what is covered here, yet the accessibility of Gray’s text is well-suited for anyone to take the ideas and apply them immediately. I had the opportunity to listen to the author read aloud some of his books at a reading convention. He stopped at several points during the reading to explain a sentence or illustration and how it brought meaning to the text. Both books are excellent are for conveying the human experience from a unique perspective. This is an important book and maybe Pollan’s best yet. Through his both personal and historical investigation into psychedelics, the author removes much of the stigma from this hot button issue by revealing the potential it has for mental health. A staff member recommended this title to me not long ago. It is a provocative and hopeful book about what may happen when we die. The paradox of a scientist describing the afterlife, citing studies to add credibility to her position, made for interesting reading. My introduction to this series, which apparently continues to this day. My guess is Rebus, the detective and main character, is always close to retirement which must give him license to ignore authority at any possible opportunity. The dry humor and colorful characters makes this police procedural a good series to get acquainted with. Using the template that made Harry Potter a household name, Townsend offers a new story of unique characters trying to make sense of the world. The question “Who am I?” seems to be a central theme in this book. I look forward to reading the next one with my daughter. I think to fully appreciate this book is to understand the influence that it has had on so many other areas. For example, I am taking an instructional coaching course, and the teachers often reference Frankl’s memoir as an example of self-actualization. The past is clearly described in this short book. I believe it should be read so we can better understand our present and future. If you are struggling to get started with a writing project, or you need strategies to keep going with one, I recommend this resource. St. John’s voice is reassuring and confident, a successful author in her own right. Each chapter is brief and gives you concrete ideas for a successful writing life. Looking at my list, one theme that seems to surface is personal change. This certainly relates to school. As a principal, one of my primary roles is to facilitate growth with teachers. This interest has been sparked by the cognitive coaching course I am enrolled in this year. How does one influence change in another without projecting their own beliefs too much in the process? How does a person’s identity factor into one’s capacity for self-improvement? Subsequently, I have started to examine my own beliefs and my capacity for change. You study something long enough and you start to see it everywhere, you know? Deep learning reveals new insights. Different points of view can serve as mirrors to my own identity and provide me with critical space to determine if I am satisfied with the current status. This is what I enjoy most about reading: Being able to visit new places that are different than my own. Fiction or nonfiction, I put myself in someone else’s shoes while reading. The result is often a broader perspective of the world, with the hopeful benefit of becoming a little bit better as a person. A child’s written story can be used to teach phonics and skills. You can assess a child’s phonemic awareness by examining his/her journal writing. Shared writing is an excellent way to record common experiences and connect to reading. This may not seem like a big deal, at least at first glance. For example, shared writing, an instructional strategy in which a teacher leads their class to develop a story or report together, makes sense for teaching phonics and grammar in context. Using personal writing as a text for independent reading is authentic, and it honors students as authors. Yet this might seem counter to some of the instruction that pervades schools. Many of our programs and kits silo the various parts of language arts in an effort to ensure standards are being met. We sometimes wrap our practices around resources, both digital and print, without first examining our beliefs. As we use these resources “with fidelity”, our beliefs are formed by our practices, which were informed by the resources. (See Read, Write, Lead: Breakthrough Strategies for Schoolwide Literacy Success by Regie Routman for more information.) Our identities as educators are intertwined with our work, which is made public daily in our classrooms. This is what makes it so difficult to change. It is also a reason why companies continue to produce resources that often promote antiquated practices. The bottom line is sales. We buy the resources because we know them. It helps to remember that these companies are not educational organizations; they are businesses. The hardest part about change is not the lack of knowing what to do. We have multiple sets of data to support the need for building our collective knowledge regarding how reading supports writing and vice-versa. No one disagrees that this is an area where our school can improve as a faculty. We are not doing poorly; we simply know we can improve. The hardest part about change is in revisiting current beliefs about literacy and adopting new ones as a faculty. Our school will continue this work in building our collective professional knowledge about effective literacy instruction. The three beliefs we unanimously agreed upon are a big step in the right direction. We will revisit them at this time next year. It should not be understated that we were able to come together as a team and find consensus on key issues in literacy instruction. These beliefs are now expected to be evident in our teaching and learning, regardless of what a program or resource might expect. I am looking forward to observing how our new beliefs will inform our future practices. The following is a letter to Howe Elementary School families regarding my decision to take a new position in Mineral Point, Wisconsin. On Monday, May 23, I was hired as elementary principal in the Mineral Point Area School District. This position will allow for some curriculum duties as well as more opportunities to write, consult, and facilitate professional learning for other educators. I have enjoyed my time as the building leader at Howe and as an educator with Wisconsin Rapids Public Schools for the past seventeen years. Change is a natural part of life. We see it in the seasons, in our kids growing up, and as technologies and globalization create a smaller planet. One of the few constants in our lives is change. What is not a constant is how we respond during these seasons of change. Situations arise that cause a disruption in our lives, and we can view them in one of two ways: As obstacles to be overcome, or as opportunities to embrace. Our perspectives about these types of situations are guided by our beliefs about learning and life, which informs our judgment. As a father, I want to model for my own kids how to discern between the two and be open to the possibilities. When I became principal at Howe Elementary School five years ago, I believed that this is where I would remain as an educator. Then I became connected. Resources and ideas were available everywhere via Twitter, Google+, and professional blogs. I learned from others outside my own immediate circle and my knowledge expanded. Pretty soon I was blogging and tweeting myself, which led to publishing articles and books about educational leadership and classroom technology. It’s been harder to balance this position and my writing efforts. My journey has taken an unexpected path that has diverged from my current position. This is not a move for the better or for the worse. It is simply the next step moving forward which had to be taken elsewhere. I wish everyone the best here at Howe and in the Wisconsin Rapids area. I am very proud of our accomplishments as a learning community. In my previous post, I highlighted an article from Education Week about students being able to pursue their questions and interests in school. The author, Dr. Kimberlee Everson of Western Kentucky University, is suspicious of the use of standards and accountability measures in schools. She believes that if students do not have a voice and choice in their learning, then all of the focus on the core academics will not amount to much. Education policy should not prescribe children’s access to institutions at the expense of access to personal development, growth, capability, or happiness. All students attending free and high-achieving schools from preschool to college is certainly a beautiful ideal, but if these very institutions quash passion or inhibit relationship-building, then the loss to our nation may be greater than the gain. What Everson leaves for the reader to figure out is how to develop and implement an action plan that honors all learners’ need for autonomy to follow their passions and become more engaged in school. This is essential for our students of color and students living in poverty. According to Everson, they generally do not have the same level of access to this type of instruction, even though they may be the ones that benefit the most from a more authentic approach. As a principal in a Title I elementary school, I can attest to the needs of these students. We have implemented a plan that has started to better engage all learners. I am using the headings from Regie Routman’s Change Process Worksheet/Appendix A, from her essential resource Read, Write, Lead: Breakthrough Strategies for Schoolwide Literacy Success, as a guide for organizing and describing our school’s planning process. The next part expands on the first steps in this change process. Prepare people for change process. 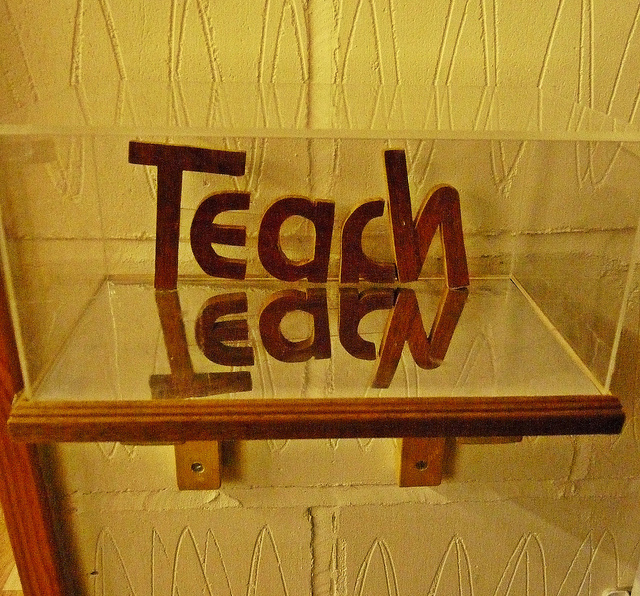 Being very upfront with faculty about any upcoming change, such as increasing literacy engagement, is vital. It shows that we are honest and transparent about our intentions. In our school, we facilitate regular instructional leadership team meetings where we discuss the building’s goals and objectives. Meeting agendas and minutes are regularly shared out via Google Docs to ensure everyone is aware of our conversations. This was how our school started as we embarked on a schoolwide goal of increasing literacy engagement this year. In addition to visibility, I have found it to be helpful to actually teach the staff about the process of change. To start, I share information about how change can have both an emotional and physical effect on a person. This leads into a conversation about why people resist change, and how colleagues can support one another to ferry through the expected challenges. Also necessary is pointing out that any kind of significant change is a gradual process, so it is important that we become comfortable with being uncomfortable. Think about your favorite teachers from your own school experience. Why did you work so hard for them? Likely, it was because they believed in you and what you were capable of as a scholar and as a person. For some students and teachers, this has become a lifelong friendship. Infusing optimism as a school begins a journey that moves toward increasing engagement for all students. It is a smart way to start. I have found that the happiest students learn best in classrooms with the happiest teachers. That means the principal needs to celebrate all that is good in his or her teachers on a daily basis. Celebrations can be as public as a highlight in a weekly staff newsletter via Smore (www.smore.com), or as simple and intimate as a handwritten personal note placed in a teacher’s mailbox that describes what was appreciated about them. Optimism can also come from the outside. One year, I took my staff to a woodland shelter for a retreat. We brought in facilitators from the Center for Courage & Renewal to guide us toward rediscovering why we went into education in the first place. For some of our staff, I know it was a life-changing experience. We kept this enthusiasm going by constantly coming back to the tenets of our time together, such as showing appreciation for our efforts through nominal gifts and words of praise. This feeling of connectedness along with a sense of optimism for the future is a cornerstone for trying to engage all learners. Build in ongoing support and collaboration. No amount of optimism will sustain a school culture throughout the year without regular support from a collaborative professional community. There has to be structures and systems in place to ensure that an organization stays focused on their goals (which in this case, is increasing student engagement to close the opportunity gap). Our school has implemented what I call a collaborative learning cycle. Each part in the cycle represents a weekly meeting. It is a process in which we connect as a whole faculty to set the purpose for the following month of professional learning. This is followed by an opportunity for grade levels or departments to collaborate about the task at hand. The third week, teachers from different areas come together to calibrate their conversations and expectations across grade levels. Finally, grade levels or departments revisit and reach consensus with regard to the better practices to implement within their instruction. We do not engage in this process every month, or even that often. Sometimes, teachers need to be able to choose how they want to spend their time together with their colleagues. That might include exploring a new science kit or taking time to analyze the most recent benchmark and screener data. We use the collaborative learning cycle when we have a specific goal in mind. One example is collaboratively assessing student writing at the beginning, middle, or end of the school year. In my final post within this three part series about student engagement and the opportunity gap, I will describe the last four steps in the change process a school can take to address this aspect of learning in schools that deserves more attention. Stay tuned! I am a principal because I believe I can make a positive impact on the future of the students I work with. It is a service to the common good that I provide. It’s not about me. I do this by being a self-directed learner. I constantly seek out different ways to be a better instructional leader through my personal learning network. The people I follow, and those that follow me, make me a better educator. Are You Changing, or Are You Growing? Although snow is still on the ground here in Central Wisconsin, I am preparing for the upcoming gardening season. Two new raised beds will be installed. My family and I have selected what vegetables we want to grow this season. Long before this year, I have kept a compost pile. If you are not familiar with this, it is a container that houses dead leaves, kitchen scraps, and most anything else that was once living and not an animal by-product. When this mixture breaks down into a soil-like material, it can be spread over soil and beds to aid plant growth, water retention in soil, and the overall health of a garden. 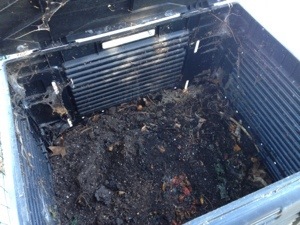 Some refer to compost as “black gold”, because of all the benefits it provides toward a great harvest. Now, I could let this pile sit. It would eventually decompose and become compost at some point in time, maybe in a couple of years. However, I can accelerate this process by turning over the dead plant material every now and then. Putting in this extra work in the beginning results in more compost both now and in the future. My efforts will lead to better results at a faster rate compared to doing nothing at all. I see some parallels between compost and the new ways of learning available today. Tools such as social media, eBooks and digital portfolios are ripe for the taking. They just require a little extra effort in the beginning, plus some reflection as to what outdated practices they will replace. Moreover, I believe these new tools differ than other shifts in learning in the past. Being more connected will most likely not be an initiative that comes to us top down. It needs to start from the ground up, in classrooms willing to start accelerating the learning process and innovate. The students are asking for it, in their lack of engagement if not in their words. Many of them may already be using these tools on their own time and can teach us how to use them. That is okay. Maybe even better. So, we can sit back and allow these personalized, self-directed tools for learning to eventually come to us. Maybe we can try one out next year when we are more comfortable. Our students’ audience for writing will continue to be only us, and maybe the parents. Sharing students’ learning will happen on special days a couple times a year. The purpose for our students’ work will be to get that grade above passing. Or…we can turn over our instruction and start to accelerate our own process for learning. We can be learners alongside our students, growing as a connected community whose diversity of resources knows no limits. Students will ask you what you all did while they were absent, because they don’t want to miss anything. If you were a student in your classroom right now, would you want to wait until next year to become more connected, or even one more day? Author Matt RenwickPosted on April 2, 2013 April 2, 2013 Categories Community, Leadership, Learning, TechnologyTags change, compost, growth, principal as an innovator, Technology4 Comments on Are You Changing, or Are You Growing?